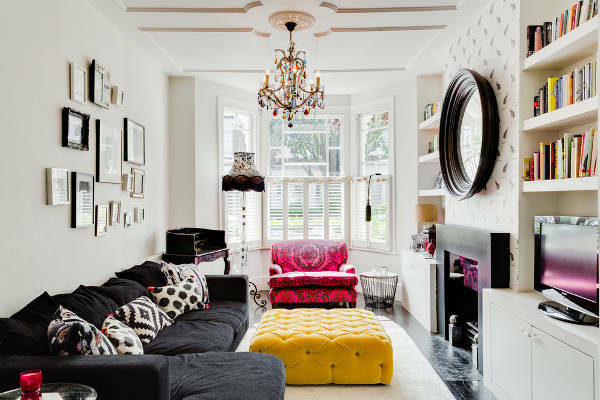 Use bright colours to make your small apartment living room look spacious. Use slender wooden chairs for extra seating instead of another couch. Use delicate embellishments to decorate your room. While designing your interiors for a small living room you should select furniture with storage space which makes your design more functional. Use delicate small sized frames for walls leaving some empty wall space. If you need a fireplace in your small living room, mount it with a wooden shelf which can be used to keep delicate articles and even books. Use a sleek centre table with a couch and a basic accent chair which can be used as a dining or desk chair. Use basic bentwood chairs with your central couch. It does not block the floor space and make your living room look spacious. Light straight line modern furniture with dual functions will further save the space. A sleek central table with a glass under shelf can be used to keep magazines and books. To add luxury to your small living room use a contemporary chandelier on the ceiling, this will take the focus away from small floor space. 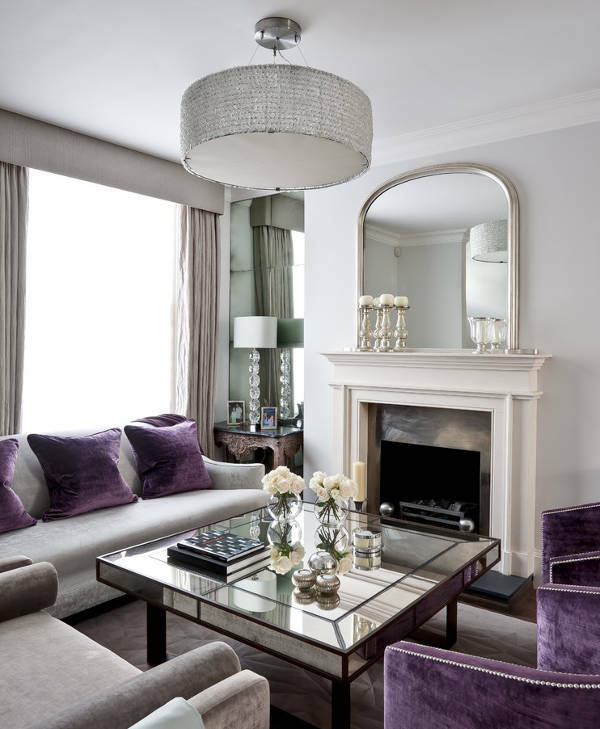 Use soothing colours for wall and decorate them with mirror, they shift the focus and add luxury. Light coloured carpet to cover the floor makes your living room cosy and lush. Use comfortable but light furniture. While designing your basement living room make sure to use enough lights. Better lit spaces look more spacious than poorly lit ones. Use table lamps and instead of a single source of light use LED lights on the ceiling. Use some greens to add freshness and colours. You need not follow a particular style for your living room. Use an old world console with a mirror on top flanked by greens on either side balancing its reflection. A hand woven wall hanging on a textured wall looks as attractive as a painting. 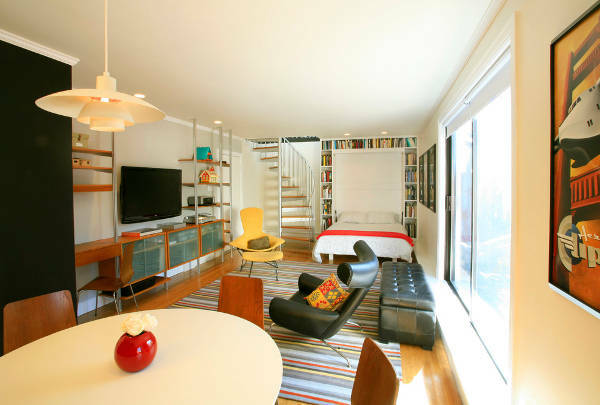 Your eclectic small living room can be equally attractive if you merge the articles intelligently. Open living room designs give you more space to play with. Keep it simple and clutter free by introducing shelves in the wall for decorations and storage. Open shelves can be used to keep books which also adds texture to the room. A couch with simple centre table and separate round table at one side with floor slime chairs will be perfect for dining. This table can also be used as a study table and chairs to increase seating arrangement. The arrangement will leave a lot of open space which can be covered by using a colourful rug. Want to add a Victorian look to your small living room? Use a couch with carved dark wood. A heavy centre table with glass top and carved legs adds to the look. 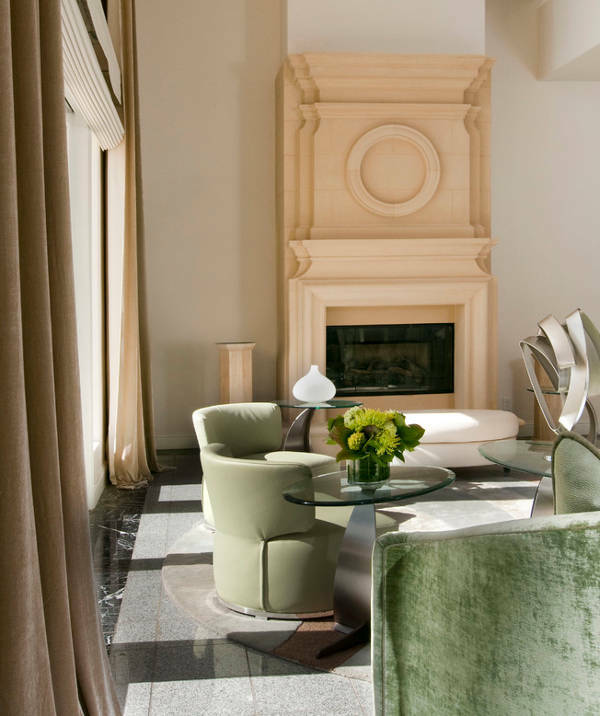 A marble fireplace with brass artefacts on the top looks nothing less than royal. A well-illuminated crystal chandelier and a beautiful Persian carpet covering the floor will complete the look. If you still find something lacking decorate your walls with paintings in carved frames. 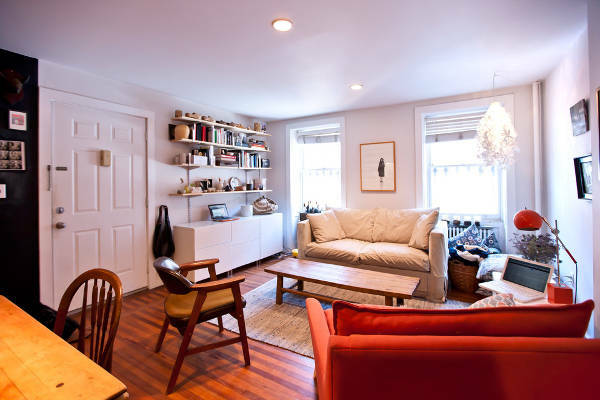 Space restriction should not restrict you to design your living room the way you want. So if remodelling your living room is on your mind, just consider these simple tips to success. You can use these design ideas to change your living room into a comfortable, functional yet attractive living space.